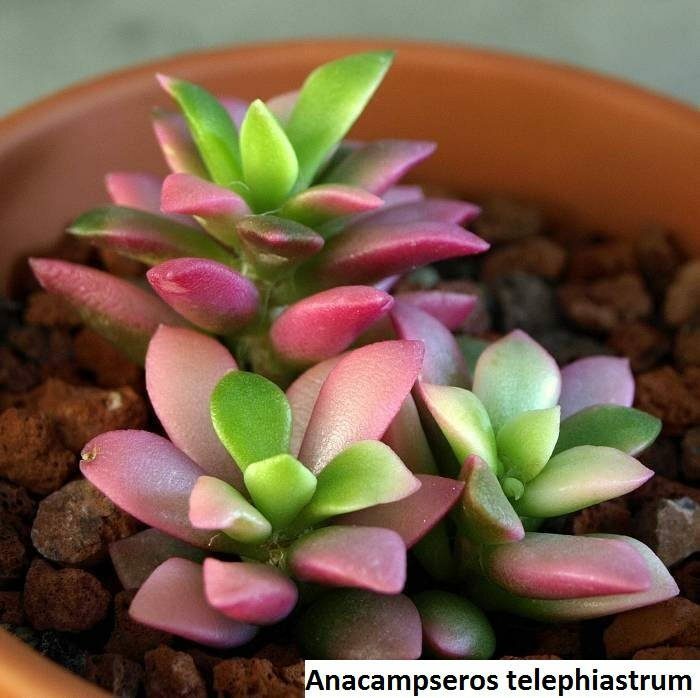 Anacampseros succulent is self-pollinating, which means that it doesn’t require another plant to make the seed. One blooming plant is enough to create a considerable number of seeds. The seeds of this plant are very tiny and white, with an excellent germination percentage. 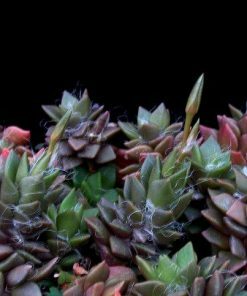 This succulent thrives in dry conditions, so you’re going to need a substrate mixture used for Cacti. You can find the readymade substrate in garden centers or make it on your own. The best mixture contains 50% loam, 40% sand (with granulation up to 0.7 inches (2 mm)) and 10% perlite or some similar ingredient which will boost the substrate’s drainage. You don’t need to follow the procedure strictly; what matters is that you don’t change the granulation because it will affect the development of seedling’s roots. The containers you’re planning to use don’t have to be big. If their depth is about 2 inches (5 cm), they will suffice. You can plant a larger number of seeds in one container, which is desirable because seedlings are slow in growth so you won’t have any problems regarding the lack of space. It’s necessary to puncture the holes at the bottom of the container, for water drainage. It’s necessary to sterilize the planting mixture, as well as the container for planting the seeds. You can do it in several ways. You can bake the substrate in your oven at 360°F (180°C) for about 30 minutes, or in a microwave oven for about 5 minutes. You can sterilize the substrate by pouring boiling water over it. It’s important to let the substrate cool down afterwards. It’s for the best to sterilize the containers in hot water or wipe them with alcohol wipes, especially if they’ve been used before. After you’ve finished the sterilization, pour the substrate into the containers, but leave at least 0.4 inches (1 cm) to the top. Gently push the surface of the substrate with a flat object. Pour fungicide over the substrate in order to prevent mold occurrence. Arrange the seeds on the surface of the substrate so that there’s some space between them. Be careful and try to avoid leaving them in one pile, because that will affect the germination process. Gently push them with a firm object and don’t cover them with substrate. The substrate shouldn’t be let to dry while the germination process lasts. In order to avoid watering it every day, cover the container with the seeds with a piece of glass, a bag or foil. Aside from the optimal moisture of substrate, it’s important to provide an ample amount of light for the plant, but don’t expose it to direct sunlight. The optimal temperature needed for germination is 72°F (22°C). Most of the seeds will already germinate at a lower temperature or higher for a few degrees, but without big oscillations. If the seed is fresh enough, the germination process starts after 3 days. 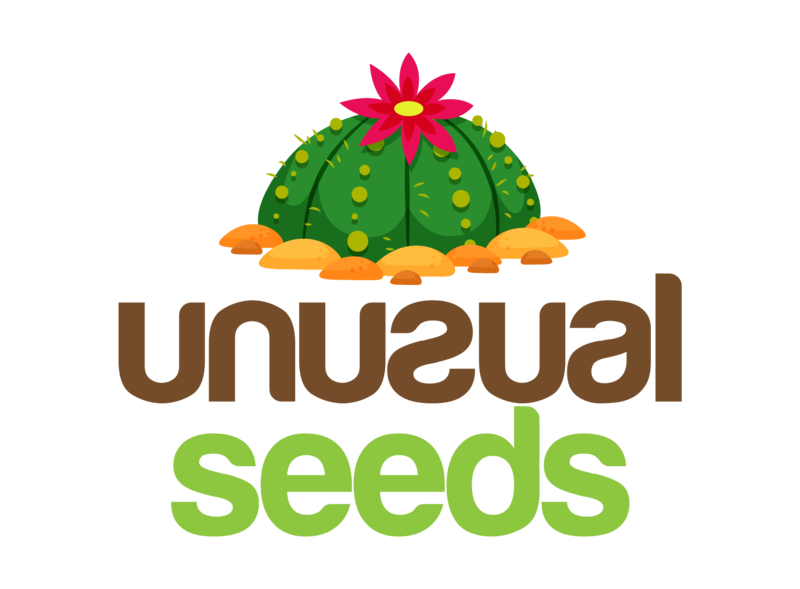 If you did all the steps correctly, most of the seeds will germinate during the period of two weeks after planting. Leave the container covered for about 3 months, and then start to gradually expose it and get accustomed to exterior conditions. When you notice that the seedlings are strong enough, remove the foil completely. Keep an eye on moderate moisture of the substrate and provide them with an ample amount of light so that they have all the conditions to grow nicely. Seedlings can stay in one container for a long time, you can repot them for the first time when they start lacking space. Be careful not to damage the roots while doing so. 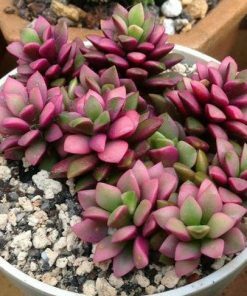 Place: This succulent goes through a period of vegetation during summer, so it needs a lot of light, but don’t expose it to direct sunlight. Keep it in shade. During the standstill period in winter, you need to keep the plant on a place at 50°F (10°C) and don’t water it. 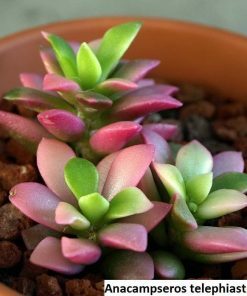 The plant can endure the standstill period at a higher temperature too, up to 65°F (18°C), but it’s necessary to provide it with an ample amount of light and water it occasionally. You should repot your plants in spring. Choose a container in which the plant won’t have too much space. It’s enough to leave 0.4 to 0.8 inches (1-2 cm) to the edge of the container. Watering: The most important thing is to avoid watering the leaves of the plant and that’s why it’s for the best to water it from below. You can water it abundantly if it’s in a substrate with good drainage. Wait for the soil to dry between the watering activities. Wintering: The plant should spend winter on a cold and light place at a temperature of 41 to 50°F (5-10°C). The wintering period in European conditions lasts from November to March. After the wintering period is over, it’s important to gradually wake the plants by exposing them to the warmth and gradually water it more and more as the temperature becomes higher. Topdressing: You should do this every two weeks after the vegetation period (May-September) ends. You can use any topdressing that improves growth and development.